Cancer screening is a way in which doctors check for some forms of cancer in the body when you don't have any symptoms. The goal of cancer screening is to find those cancers that can be found as early as possible, before a person has any symptoms. Cancer screening is a way in which doctors check for some forms of cancer in the body when you don’t have any symptoms. The goal of cancer screening is to find those cancers that can be found as early as possible, before a person has any symptoms. Different tests can be used to screen for different types of cancers. The age at which screening starts varies depending on the type of cancer being screened for. That’s because different cancers tend to strike at different times in a person’s life. Cancer that is found early often is small and can sometimes be cured or treated easily. Treating certain cancers early can help people live longer. Sometimes, screening finds cells that do not yet show cancer, but that might turn into cancer cells. Doctors often treat this “pre-cancer” before it has a chance to become cancer. Breast cancer – The main test used to screen for breast cancer is called a “mammogram.” Doctors do not always agree about when women should start having mammograms. But most women start around age 40 or 50. 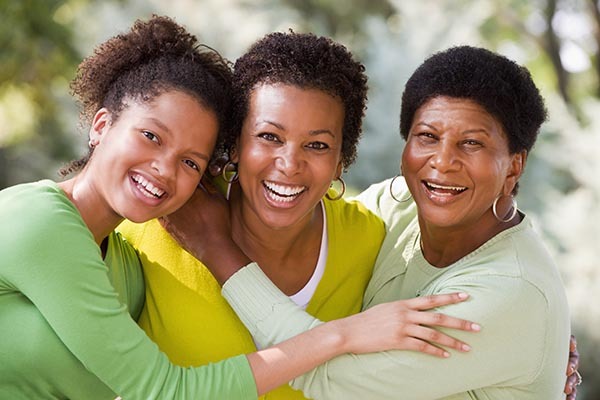 Women who have a strong family history of breast cancer might begin screening earlier. Work with your doctor or nurse to decide when to start breast cancer screening and at what age you might stop screening. Breast cancer screening includes tests to detect breast cancer at an early stage, before a woman discovers a lump. Breast cancer is more likely to be cured when it is caught earlier. The chance of dying from breast cancer has declined by about a third over the past few decades. This is due, in part, to the use of breast cancer screening to find cancer at an earlier stage. Colon cancer – There are multiple screening tests for colon cancer. The choice of which test to have is up to you and your doctor. Doctors recommend that most people begin having colon cancer screening at age 50. Some people have an increased chance of getting colon cancer, because of a strong family history or certain medical conditions. These people might begin screening at a younger age. Cervical cancer – The main test used to screen for cervical cancer is called a “Pap smear.” Cervical cancer screening often begins when a woman turns 21. Doctors might add on another screening test after a woman turns 30. Women who are older than 65 might or might not need to continue cervical cancer screening. If you are older than 65, talk with your doctor about whether or not you should keep getting screened. The Papanicolaou smear (Pap test) and testing for human papillomavirus (HPV) are the tests used to screen women for cervical precancer or cancer. 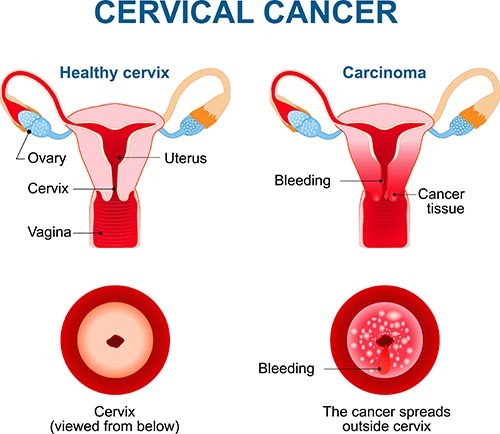 Cervical cancer screening tests can find cervical cancer and precancer in the early stages when it can be treated and thus may reduce the number of deaths from cervical cancer. This article reviews tests used to screen for cervical cancer and a description of both normal and abnormal Pap test results. Women with a “high-risk” family history of ovarian cancer are at increased risk of ovarian cancer. Women with a particularly high risk may benefit from ovarian cancer screening.